*HOT* The Elf on the Shelf Just $9.99! 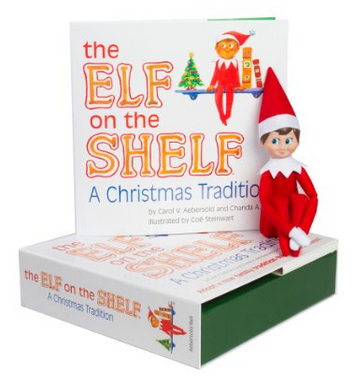 You are here: Home / Great Deals / Amazon Deals / *HOT* The Elf on the Shelf Just $9.99! Wow! If you want to do the Elf on the Shelf tradition this coming Christmas, you will want to grab this offer! Get The Elf on the Shelf A Christmas Tradition with Blue Eyed North Pole for just $9.99 on Amazon. Shipping is $5.62. This is the best price I have ever seen! Hurry before it’s gone!